Members of the Penrose Road school Cross Country Team 1959. Junior Section winners of the Cornwall Inter-Schools Cross Country Championships at Redruth. Back Row (l to r): Harold Rickard (PE Teacher), James Evans, Paul Treloar, David Bilkey, Mr Cockram (Headmaster). Front row (l to r): Terry Kernow, Anthony Rowe, John Penaluna, Sam Milburn, Jocelyn Bray. 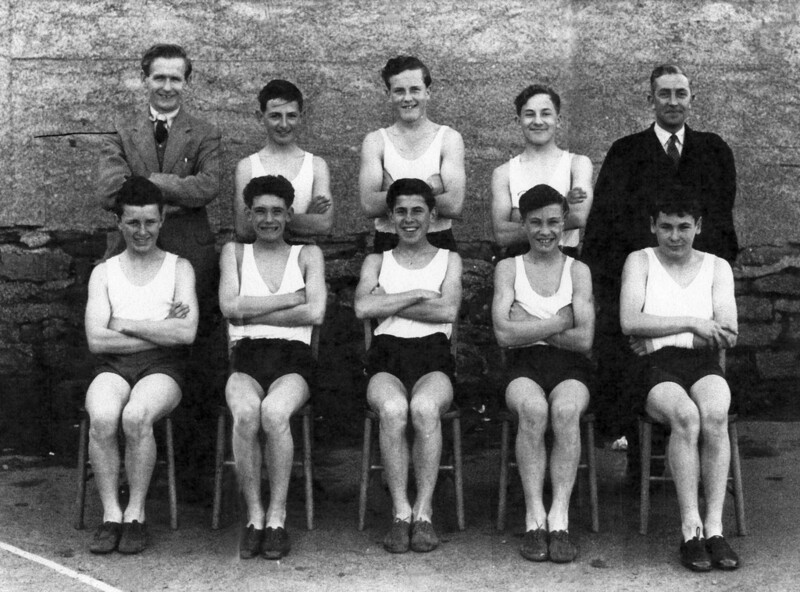 “Cross Country Team, Helston County Secondary School, 1959,” cornishmemory.com, accessed April 24, 2019, http://cornishmemory.com/item/HGS_029.